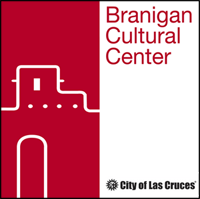 Sin Fronteras will give a poetry reading at the Branigan Cultural Center on February 28, 1-3pm. Sin Fronteras/Writers Without Borders is a non‑profit literary arts organization in Las Cruces, NM, devoted to encouraging a community of established and emerging writers, developing audiences for these writers, and giving voice to those whose voices may not be heard. Sin Fronteras is under the umbrella of the Dona Ana Arts Council. Please join us for an afternoon of poetry. The program is free and open to the public.